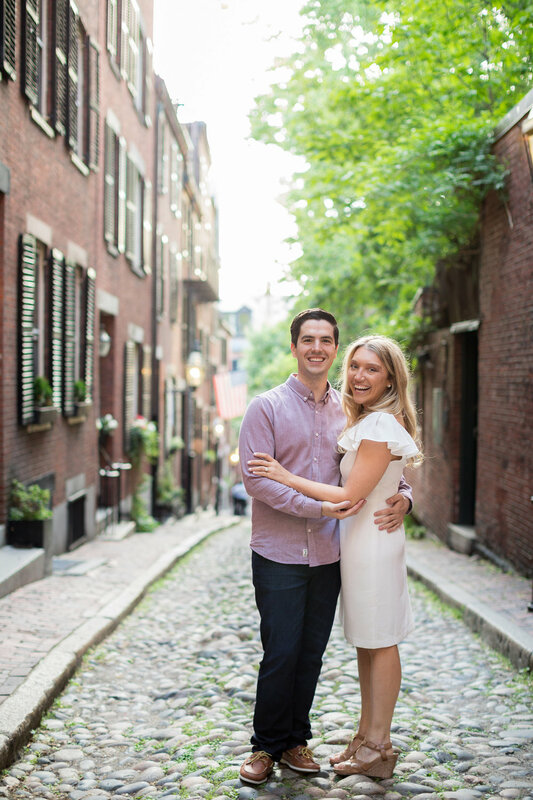 We met Brittany and Evan for a cocktail at 75 Chestnut before heading into their engagement session photos in Beacon Hill. We love that time to socialize a little with our couples and get to know them in a casual, non-interview setting. It also allows us to ease into the photography. We had so much fun chatting over a glass of wine/beer that we actually both fell a little in love with these guys. As we were talking with Brittany, I had a little revelation that she was kind of a combination of two of my best friends (whose weddings Cole and I have also photographed!). I could tell Cole was extra comfortable with Brittany and Evan because I could see him setting them up for a shot and then pushing it just a little bit further than he usually does with his direction and posing instructions (we usually take it super easy on our couples). It was kind of like he was just using his friends to experiment with some new portrait work he's been wanting to try out -- but then your friends laugh at you and you keep shooting. 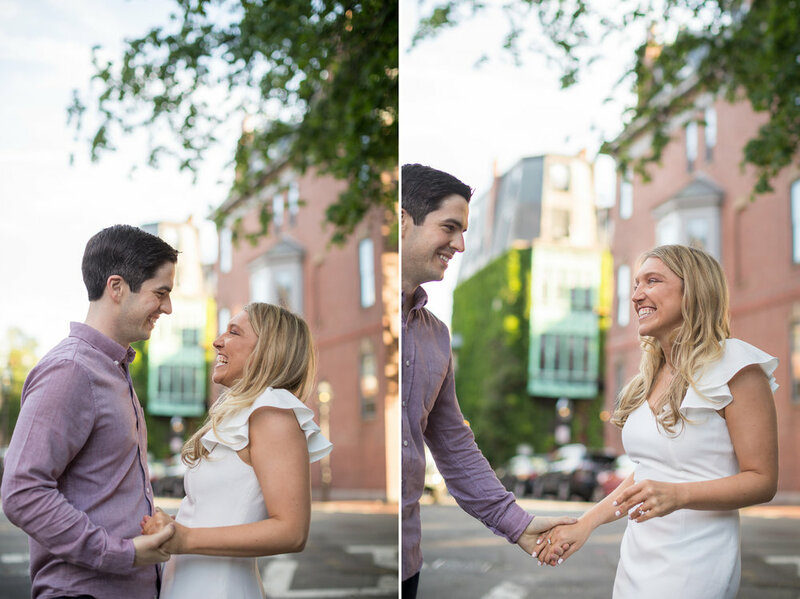 I think we ended up with photos that capture how fun and playful their relationship is and we can't wait to hang out with them again on their wedding day because whether they like it or not they are our BFFs.